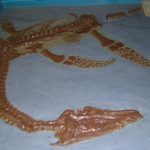 Plesiosaurus was the first plesiosaur discovered and named. 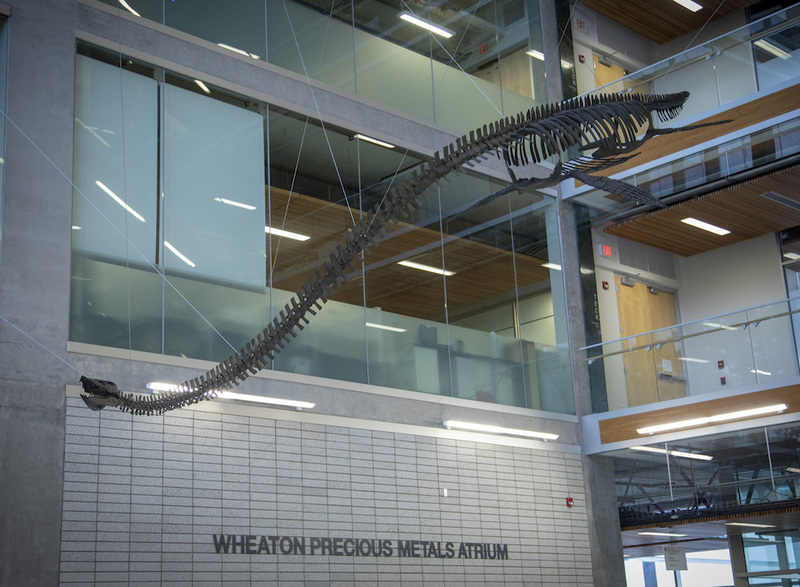 For a long time Plesiosaurus was treated as waste-basket taxon. 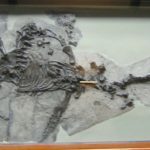 This means that many different specimens were allocated to the genus Plesiosaurus under different species names, even when they were very different. By modern standards, many of these specimens deserve a generic name of their own, or may be of dubious validity entirely. 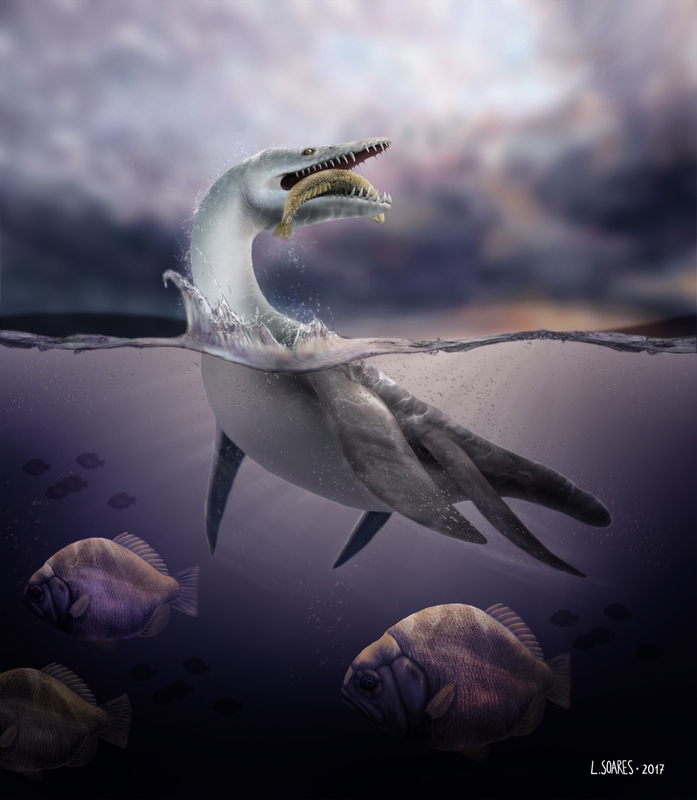 The lumping of many species into the genus Plesiosaurus was initiated during the 1800s when plesiosaurs were first being studied and described. Many species formerly included in Plesiosaurus are now renamed and most of them do not even belong in the family Plesiosauridae. 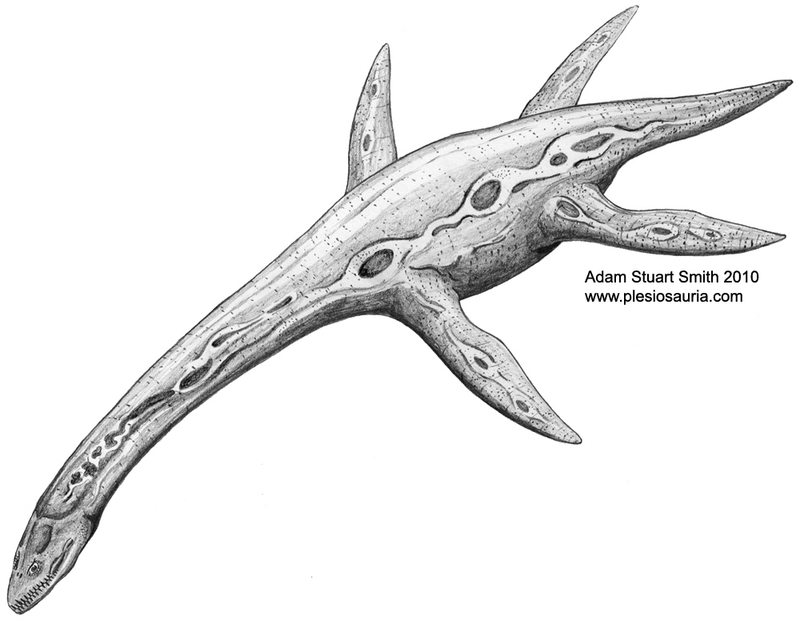 For example, ‘Plesiosaurus’ rostratus was renamed Archaeonectrus, ‘Plesiosaurus’ conybeari was renamed Attenborosaurus. 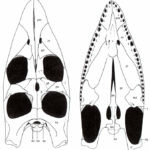 Storrs (1997) reduced the number of valid species of Plesiosaurus to three. 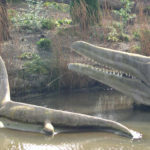 However, two of those have unique features that warrant generic separation: ‘Plesiosaurus’ guilielmiiperatoris is today regarded as Seeleyosaurus, a name reinstated by Grossman (2007), and ‘Plesiosaurus’ brachypterygius is now known by the name of Hydrorion (Grossman, 2007). 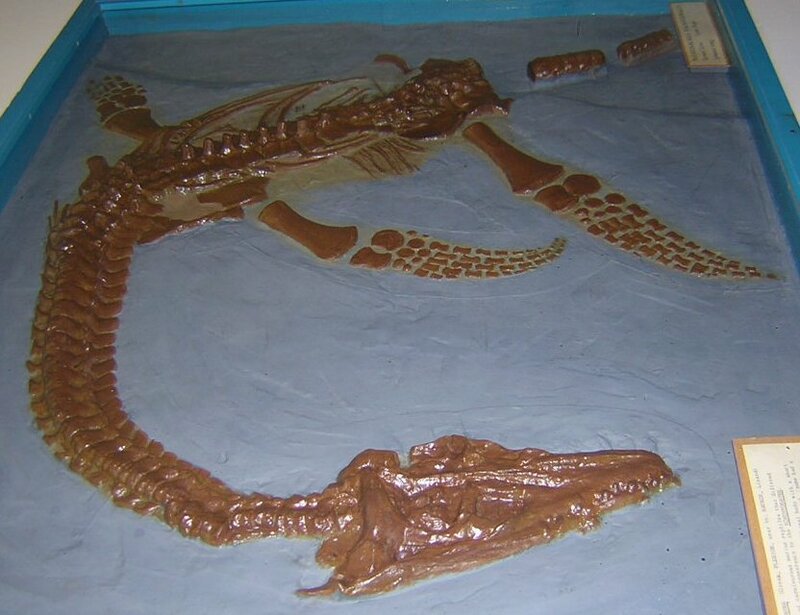 All this means that at present, Plesiosaurus contains only the single valid species, P. dolichodeirus. 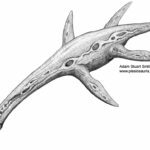 Some species arbitrarily referred to Plesiosaurus still remain today, pending revision. 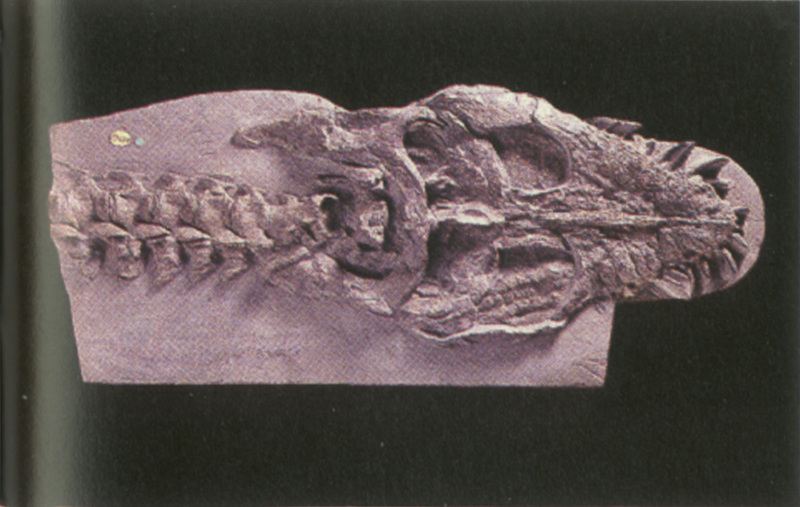 ‘Plesiosaurus’ macrocephalus, for example, is possibly a juvenile rhomaleosaurid. 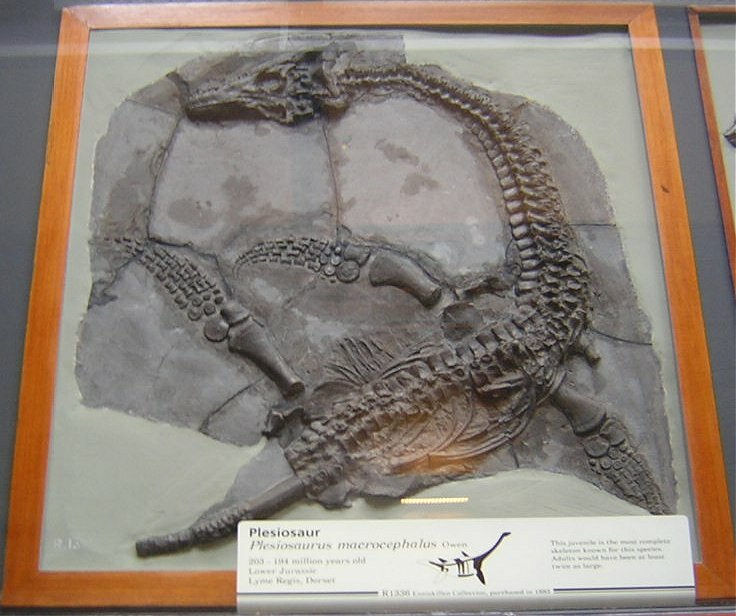 Plesiosaurus belongs to the family Plesiosauridae and was regarded as the sole member of the group for several years. 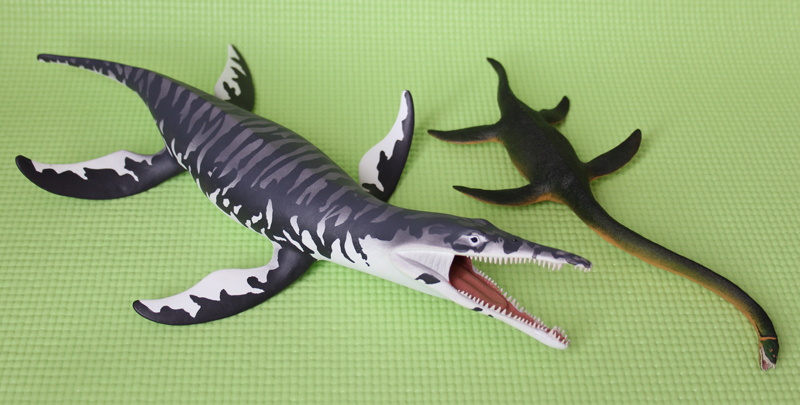 However, recent research into early Jurassic plesiosaurs has revealed a greater generic diversity of plesiosaurids. The holotype specimen of P. dolichodeirus (Conybeare 1824) is NHMUK 22656, a complete skeleton. 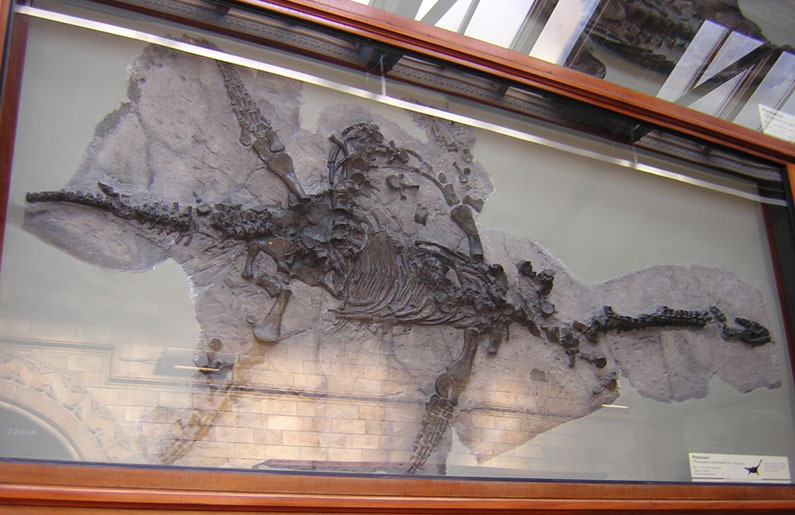 Holotype specimen of ‘Plesiosaurus’ macrocephalus in the Natural History Museum, London. Photo by Tom Challands. 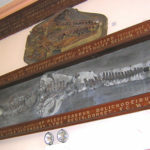 Cast of the holotype of ‘Plesiosaurus’ macrocephalus in the Bath Royal Literary and Scientific Institute. Photo by Adam S. Smith. 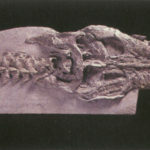 Skull referred to Plesiosaurus dolichodeirus in the Natural History Museum, London. 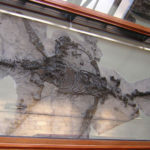 Holotype specimen of Plesiosaurus dolichodeirus in the Natural History Museum, London. Photo by Tom Challands. 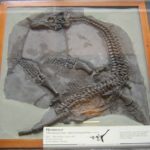 Holotype specimen of Plesiosaurus dolichodeirus in the Natural History Museum, London. Photo by Adam S. Smith. 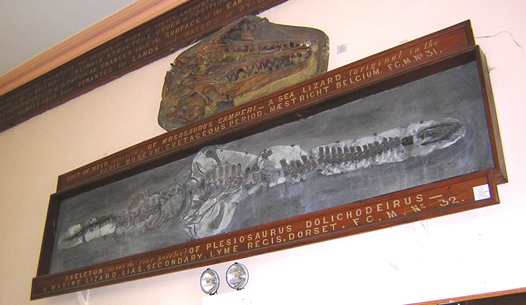 Referred specimen of Plesiosaurus dolichodeirus in the James Mitchell Geology Museum, Galway, Ireland. Photo by Adam S. Smith. 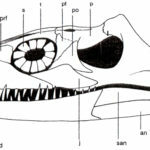 Skull of Plesiosaurus dolichodeirus in lateral view. From Storrs (1996). Skull of Plesiosaurus dolichodeirus in dorsal and ventral views. From Storrs (1996). 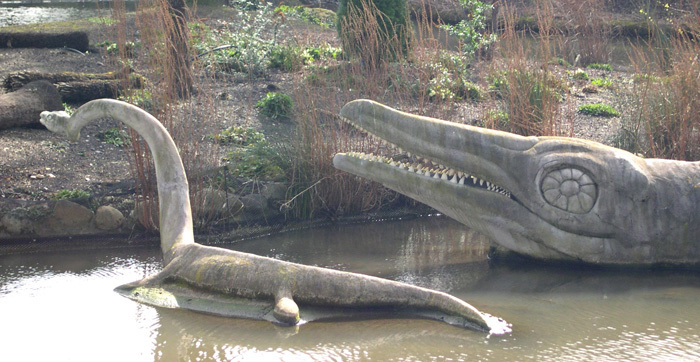 Plesiosaurus dolichodeirus model at Crystal Palace Park, by Benjamin Waterhouse Hawkins.